Versatile, accomplished and creative in all cuisine types, Jason Dupree has the complementary talent for business acumen specific to the hospitality industry. As a graduate of the prestigious Johnson and Wales University in 2006, he was also the recipient of the Future Business Leaders of America Scholarship, as well as the Culinary Demonstration Scholarships at J&W. 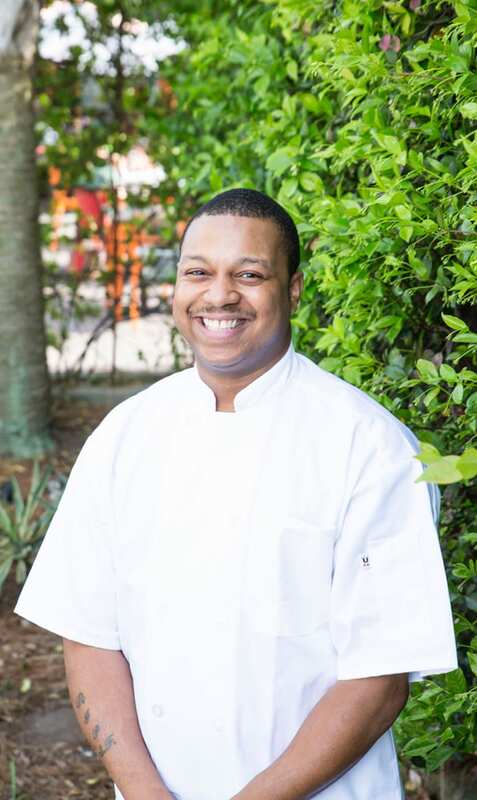 Jason began his career in the Charleston hospitality world in 2003 working at several restaurants as a line prep intern, hospitality assistant, prep assistant/banquet support, and assistant kitchen manager. He gained vital experience in many of the facets of the restaurant/hospitality industry that lead to him becoming executive chef of King Street Grille in 2009. Beyond his culinary recognition there, he also developed King Street Grill’s food delivery quality control inspection process. By 2011, Jason was ready for a change and accepted the position of sous chef at popular Charleston restaurant, Rue de Jean. He was promoted to executive chef two years later where he oversaw 20 cooks and personnel and efficiently executed regular lunch and dinner service that included 350+ daily covers. For more than four years, he monitored preparation, procurement, performance and production flow while managing high volume sales and service. Jason was recruited by Charleston Beer Works in 2015 to bring a strong culinary approach to their new location. With broad latitude to explore and implement new fare and menus, acquire, train and manage staff, and oversee the business of the kitchen, Janson incorporated bold new trends and regional cuisine to ensure top quality service. In 2017, he was tapped by veteran Charleston restaurateur Karalee Fallert to lead her next culinary venture, Wiki Wiki Sandbar. Located on Folly Beach, South Carolina, the tiki concept will specialize in Polynesian food with a Southern angle. He is currently finalizing the menu which will offer diverse dishes such as coconut shrimp, a variety of poke bowls, Thai coconut mussels, pan roasted kona kampachi, and a loco moco. When not in the Wiki kitchen, Jason can be found doing almost any sport under the sun or on the beach with his wife Kerri and their daughter Brynn.